The Toyota Super Bowl 2012 Ad has been published ahead of the big game. The spot takes a cue from the marketing campaign promoting the striking reinvention of the 2012 Camry, America's best-selling car for 10 consecutive years. The 60-second "Reinvented" has been published online. You can watch the spot below. The television premiere of the 30-second version on Sunday, February 5th, will mark the brand's return to Super Bowl advertising for the first time in three years. 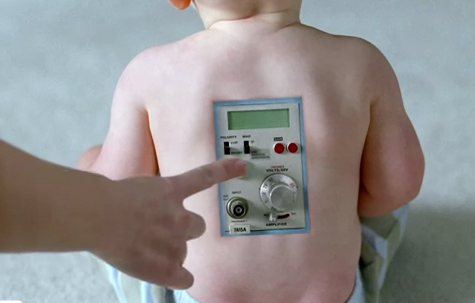 The Toyota Camry Super Bowl commercial provides a humorous take on potential day-to-day experiences and items that could have been reinvented, such as a baby that never requires a diaper change, the Department of Motor Vehicles as an enjoyable place of fun and smiles, and house plants that defend against intruders by fighting crime. The premise of the spot is that good things are always better when reinvented; and in this case, they are also funnier. "Reinvention is a powerful idea and one we took to heart when we redesigned America's most popular car with the launch of the 2012 Camry and elevated it above the competition," said Bill Fay, group vice president of marketing at Toyota Motor Sales, U.S.A., Inc. "The Super Bowl provides a forum to really drive home the reinvention message of the seventh-generation Camry, using humor to resonate with the American public." The commercial will be one of two 30-second spots Toyota will be airing during the internationally-viewed game. The ad, created by Toyota's agency of record Saatchi & Saatchi LA, is slated to be broadcast during the third quarter of the game and is supported by an interactive social media extension that will kick-off following the commercial. Viewers will be encouraged to tweet with the #Reinvented hashtag about what they'd like to see reinvented and selected tweets will be responded to in real-time with a creative depiction of their idea. The Toyota Camry Super Bowl 2012 Ad is pretty funny. The competition between Car Super Bowl 2012 commercials is though huge this year. Honda for instance hired big Hollywood stars Jerry Seinfeld and Matthew Broderick to star in their Super Bowl commercials.